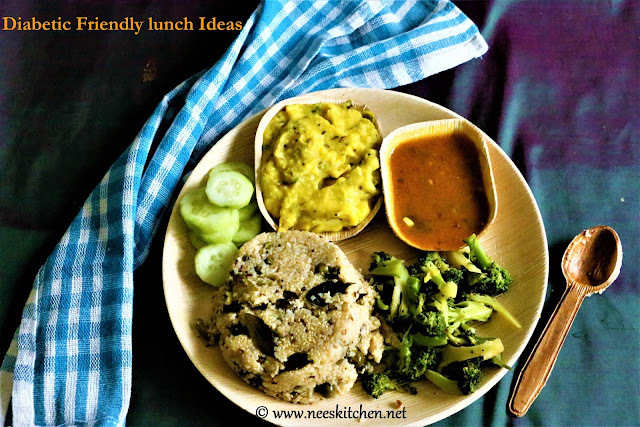 In continuation of my diabetic friendly lunch ideas here comes my next simple lunch idea. 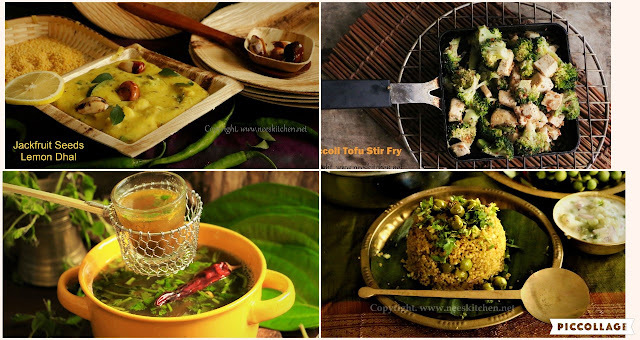 Jackfruit seed dhal, broccoli stir fry, tulasi & beetal leaves rasam, sundaikkai godumai rava upma (Turkery berries wheat upma) and cucumber. Individual recipes given below. Enjoy!!!! The concept of Pattra is our way of making a difference to the planet by producing environment-friendly dinnerware. The natural disposable eco-friendly, biodegradable areca palm leaf plates, bowls and serving dishes are made purely from dried fallen palm leaves and water. They are microwave and oven safe. They are single use disposable products. I am very happy that I am a small contributor to their mission by showcasing there products in my photographs. More to come !!! !